New! Reckless Highlander/Free books/Win amazon gift card! Reckless Highlander is LIVE tomorrow 3/16. Finally the last book of the Legendary Bastards of the Crown Series will be released on Thursday, March 16th. (You can preorder it now.) Will Reed pay fealty to his father, King Edward, like his brothers before him? And will a Scottish lassie named Maggie make him question his ways? The book is 99 cents for a limited time, and KU reads the entire series free! Don’t forget to pick up the rest of the series: Destiny’s Kiss – prequel, Restless Sea Lord – Book 1 and Ruthless Knight – Book 2. Watch for the entire series to be in audiobook form in the next few months. I also have a few FREE books for you! The Baron’s Destiny – Book 3 of my Barons of the Cinque Ports Series is free now until 3/19. The first book of the series, The Baron’s Quest is also marked down to 99 cents for the next week. Also free from 3/16 – 3/20 is the prequel of the Legacy of the Blade Series. If you’d like to try a sampling of some of my books, I’d like to suggest two boxed sets. 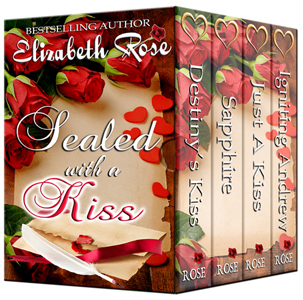 The Sea Lords and Ladies and Sealed with a Kiss boxed sets will be disappearing in the next few weeks, so don’t wait. They are both only 99 cents and KU reads free. I’ve been working on updating my website. I now have all my booktrailers on one page. Click here. I also have a new Audiobook page and you can find all the recipes from my books listed on my Recipe page. It is complete with original versions of recipes found in my stories and comes with photos of the food as well as the character who makes it in my books. Watch for more new pages soon! Enter through the rafflecopter below to have a chance to win a $20 amazon gift card or one of five prizes of an audiobook copy of Restless Sea Lord! The contest starts at noon on 3/15. Here are the new follow buttons if you’d like to follow me on You Tube, Linked In, Facebook, Bookbub, Pinterest or Twitter. This entry was posted in audiobooks, Boxed sets, Contemporary Romance, contest, Free book, Medieval Romance, New release, Pre-order, recipes, romance recipes, Scottish romance, Uncategorized and tagged romance novel contest by Lizrosek. Bookmark the permalink. 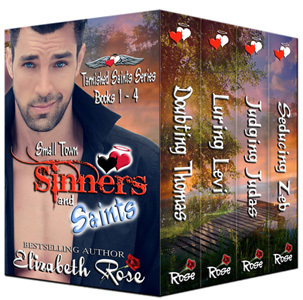 Mine would be Tarnished Saints by Elizabeth Rose and the reason I like this one is because the hero is hot and the plot is amazing….. Thanks for entering the contest, Bethany! Can’t wait to read ” Reckless Highlander”! I was intrigued by the trailer for MadMan MacKeefe! The description and the mood set by the trailer. I lik the Cowboys of the Old West trailer. I like cowboy books. So that drew my attention. My favorite book trailer was Tarnished Saints. It looked the most professional. I liked the animated title clips. I liked the Barons of Cirque Point. It looked intriguing and made me want to know more about the book. I like the trailer for Tarnished Saints because there’s so many of them and they all look good. Thanks for the chance to win. I liked Barons of the Cinque Ports the best. I liked the maps and music. It made me want to read more. I like both trailers and they seem to be very interesting fun books! Thanks for the chance! I loved the trailer for “Barons of the Cinque Ports” because it really looked interesting. I have to say that the “Familiar” was just as interesting and mysterious. It’s hard to choose, but I think I’ll pick The Caretaker of Showman’s Hill, because it’s a book with a vampire hero! I liked the trailer for Familiar because I love cats! It’ Barons of Cinque Ports.